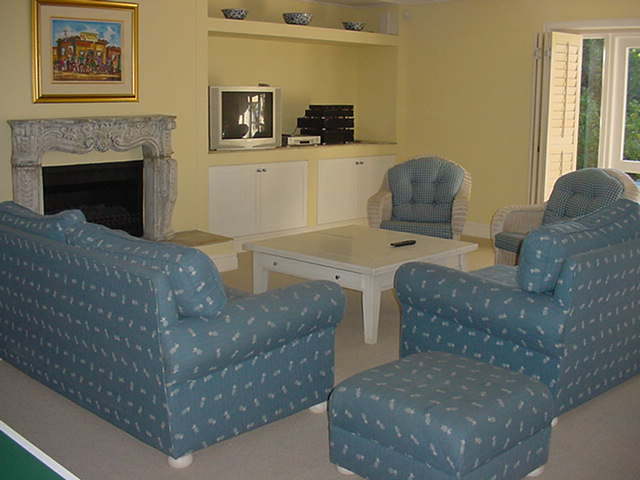 Beach Cove Villa is a very large and well equipped 5 bedroom luxury villa. Nestling with its feet dangling on the beach between the Lookout Rocks and Beacon Isle Hotel this Villa is perfect for your Plett beach holiday. Downstairs is a spacious open plan lounge, dining room, games room and kitchen. The kitchen is complete with separate scullery, pantry and walk in cold room. In the games room is a table tennis table, comfy seating, TV and fire place. 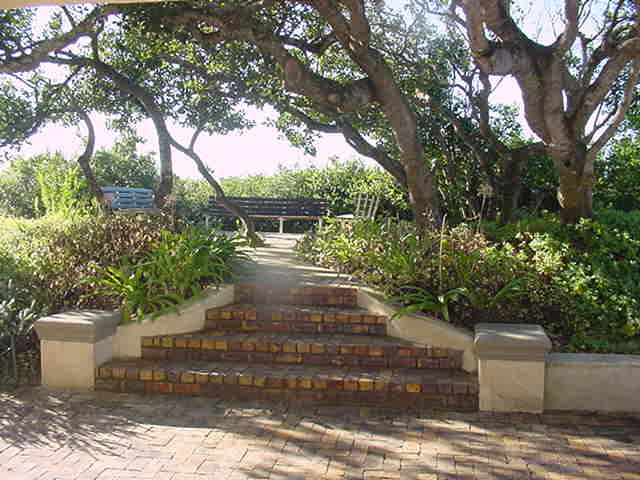 Step out of the main dinning are, through a little gate and down a short boardwalk to reach the beautiful cove of Wedge Beach. Large en suite bedroom with king bed, this can be converted into two twin beds. 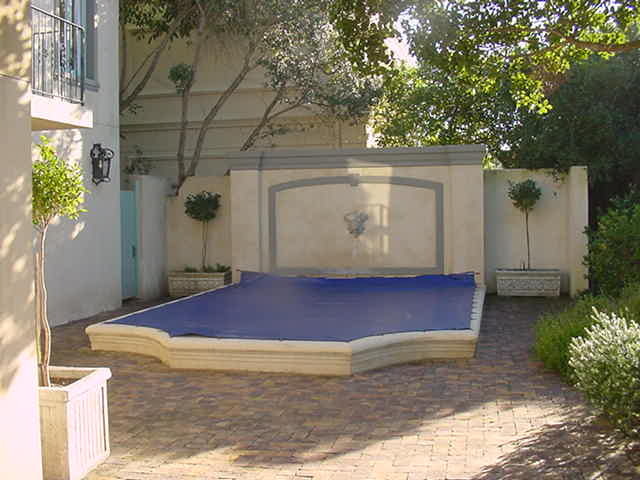 In the courtyard is an outside table with chairs and a pool (net if requested). Upstairs there are four bedrooms, the master bedroom has a balcony overlooking the Wedge Beach with uninterrupted sea views and king bed. 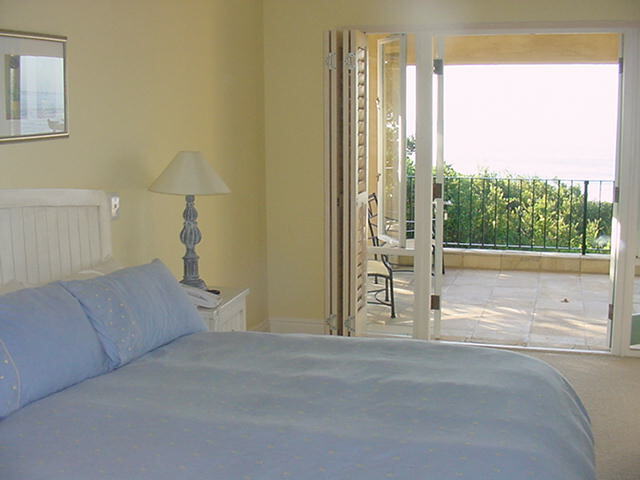 The second bedroom also has a sea view with king be. Both bedroom three and four carry king beds these can be converted into twin beds if required. Bedroom three overlooks the sea whereas bedroom 4 overlooks the courtyard. All four bedrooms are equipped with en suite bathrooms. The TV room upstairs leads out onto a terrace with four sun loungers. Two sets of linen for all beds, beach and bath towels are supplied. DSTV decoder and smart card are also supplied.